A Family that Prays Together, Stays Together! My mission is to get the whole world to Pray the Rosary. The World that Prays Together, Stays Together! Chiropractor, Catholic, Pro-Life, Seeking first the Kingdom of God in everything I do. Founder of The Four Men Prayer Groups, The Power of the Rosary and The End of Abortion Movement. Decade a Day Disciples, The Abundant Life Coaches, Sons and Daughters of St. Joseph, The Releasers, The Dolorians, The Stationers. Husband and Father of three wonderful daughters. Dolls from heaven are 18 inch Saint Dolls. They come with an outfit based on what the Saint wore during their life. They also come with a book that will inspire children to become saints. Our first Doll is Saint Therese of Lisieux. Saint Therese is one of our favorite saints. She has not only inspired our family but millions of people with "her little way". We hope that our Therese doll will encourage young children to make Jesus the focus of their lives. This is for anyone who wants to unleash the Power of the Rosary in their lives through two important ways. One: by Praying for the Soliders of the Rosary everyday and their intentions, this unity of prayer will release many graces in your life! 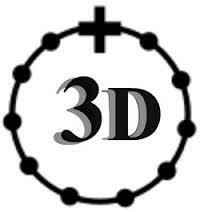 Two: by spreading the Rosary everywhere and everyway they can think of. To join each member will do his/her best to pray 5 Decades of the Rosary a day, it does not need to be separate Rosary so if you pray the Rosary as a family or in church that will suffice and you will add the Soldiers of the Rosary prayer before or after your Rosary but sometime during the day. Join Today! Want the Greatest Graces? Then become a Stationer! The Stationers agree to pray a short prayer as well as the Stations of the Cross at least once a week. The promises that they obtain through these prayers plus each member prays for each other as well so that union of prayer also obtains even more graces as the weak are upheld by the strong members. Through the graces of these prayers and through spreading the message of the Stationers may all our members obtain eternal life and happiness that can only be found in the love of Jesus. Join Today! Our Guardian Angels are our most faithful friends, because they are with us day and night, always and everywhere. We ought often to invoke them.~St. John Vianney The "Friends of the Angels" mission is to spread devotion to the Holy Angels especially our own Guardian Angel and prays a short set of prayers during the morning to honor our Guardian Angel and a small prayer whenever you are called to throughout the day to honor all the Holy Angels present around you. “Those who love the Holy Spirit experience every kind of happiness within themselves. The Holy Spirit leads us like a mother leads her little child, or like a person with sight leads a blind man."~St. John Vianney The Best Friends of the Holy Spirit mission is to truly become the Best Friend of the Holy Spirit and to help other's to be as well. It involves praying a small set of prayers in the morning and a special short Prayer whenever inspired to. They also seek to spread the Letter to anyone who is open to it. Catholic, ProLife, loves God, Singing, Narnia, and my family. Assistant CCD Teacher, Social Media expert, as well as various Electronic Media types. Aspiring Director. Spreading Devotion to the Face of Jesus, and St. Michael. Catholic, Prolife, Loves God, Family, Singing, Narnia and my family. Aspiring artist. Assistant CCD Teacher. Spreading devotion to Divine Mercy of God. Catholic, Prolife, Love God, Family, Narnia, Disney Princess, as well as Barbie. Interested in performing arts.